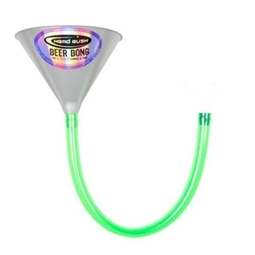 Bottle Bong | Drain Your Drink in Mere Seconds! It's happened to everyone - you're waiting for the beer to dribble out of the bottle into your mouth, it takes ages, it's really tedious. and the evening is ruined. Instantly livens up the party! 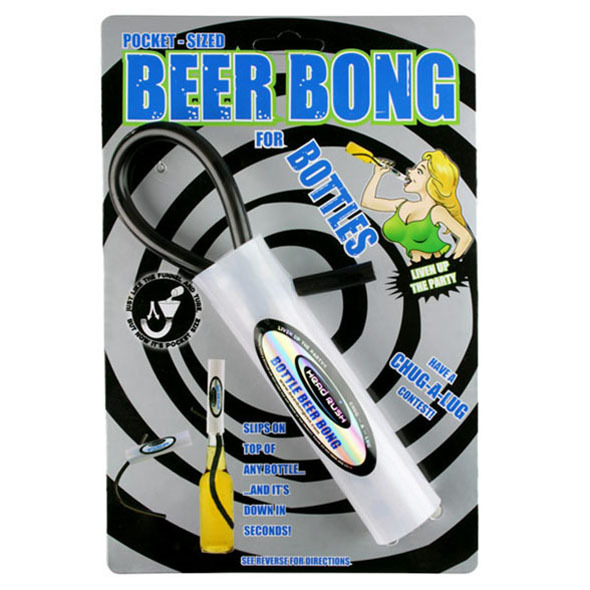 If you need to finish your drink quickly but the liquid just won't leave the bottle fast enough, the Bottle Bong is the perfect drinking accessory for you! 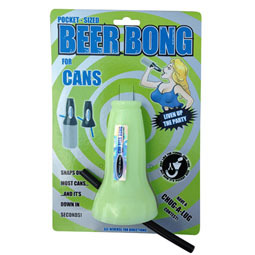 Attach it to the top of your bottle and get ready for that drink to come sloshing out fast!